How To Fix "blogid,postid,image_url,updated" Errors In Blogger - Hallo sahabat Information About Blogger, Pada Artikel yang anda baca kali ini dengan judul How To Fix "blogid,postid,image_url,updated" Errors In Blogger, kami telah mempersiapkan artikel ini dengan baik untuk anda baca dan ambil informasi didalamnya. mudah-mudahan isi postingan Artikel Google Webmaster Tools tutorials, yang kami tulis ini dapat anda pahami. baiklah, selamat membaca. Do you have alot of error in your Google webmaster tools structured data? if yes and you are seeking for how to fix Google webmaster tools errors like Missing required field "updated", image_url, blogid, postid etc then you are at right place. 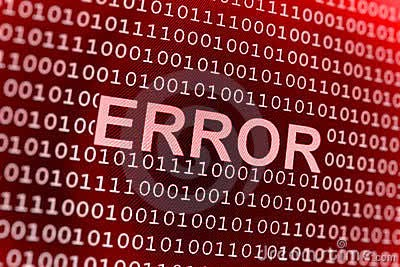 These errors can be easily remove in just a few simple steps. These errors harms the performance of your blog therefore these should be removed immediately. This tutorial is only for blogger so if you are a site owner then I am not sure about if it would work in your site or no. In this article I will show you to how can you remove errors from your Google webmaster tools structured data. So lets get started! 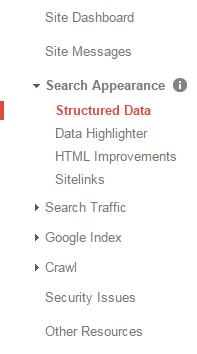 follow below steps to remove errors from your blog's structured data. Step 1: Go to Google webmaster tools and open your site. Step 2: Click on search appearance in the menu on left side and choose structured data. Step 3: Click on the error and choose the post which is appearing to have error and click on test live data, it will show you the errors which I am going to fix in below steps. Step 4: Copy the piece of code which is appearing as error and go to blogger template and click on Edit Html. I am going to fix each error one by one so after following step four follow each step to remove each error. 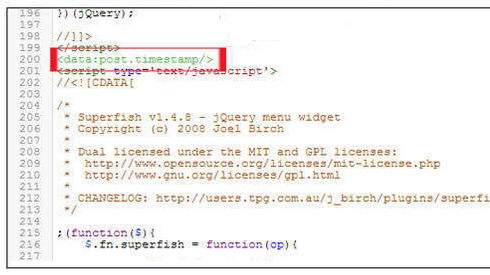 Step 1: In the template click anywhere and search for <data:post.timestamp/> by using Ctrl+f. Step 3: Go to structured data testing tool to check if the error is fixed or not. 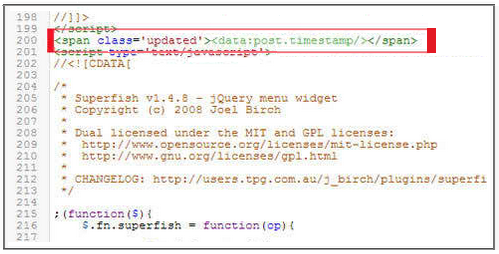 Step 1: Find <meta expr:content='data:post.firstImageUrl' itemprop='image_url'/> by using Ctrl+F in the template code. Step 2: Replace it with <meta expr:content='data:post.firstImageUrl' itemprop='image'/>. You will find this code two times in your template, make sure to replace both of them with the error free code. Step 1: Search for <meta expr:content='data:blog.blogId' itemprop='blogId'/> and <meta expr:content='data:post.id' itemprop='postId'/>. Step 2: Delete both of them from your blog template. You will find the above codes two times in your template, make sure to delete both of them. Note: After following above steps text your posts with structured data tool, if you still find any of the error in your structured data then find all these codes and delete them from your template. If you have any problem related to this post ask me in comments. Follow and subscribe to get latest updates about blogger seo and Google webmaster tools. Share this post with and others. Search tags: How to fix Google webmaster tools errors in blogger, blogid error fix, post id error fix, image_url error in Google webmaster tools, updated error in google webmaster tools, how to fix google webmaster tools errors, 101helper tutorials for Google webmaster tools. Thank you for visiting the article How To Fix "blogid,postid,image_url,updated" Errors In Blogger hopefully always provide useful information, see you in another article. 0 Response to "How To Fix "blogid,postid,image_url,updated" Errors In Blogger"